Please tell us a little bit about the potential student to request a Free Consultation to go over their specific learning challenges and needs. Your privacy is important to us. The information you share with us will not be shared or sold to third party sites or services for any reason. A cost-friendly option that is ideal for classmates or home-schooled students who may want to incorporate a collaborative element to tutoring via a format that encourages peer interaction. An effective and cost-friendly option for students who have similar learning challenges and want to include peer interaction as part of their program. One-on-one tutoring sessions are tailored to that student’s specific needs and follow a fixed and consistent schedule allowing the student to experience benefits in a shorter timeframe (often in weeks). NOW! 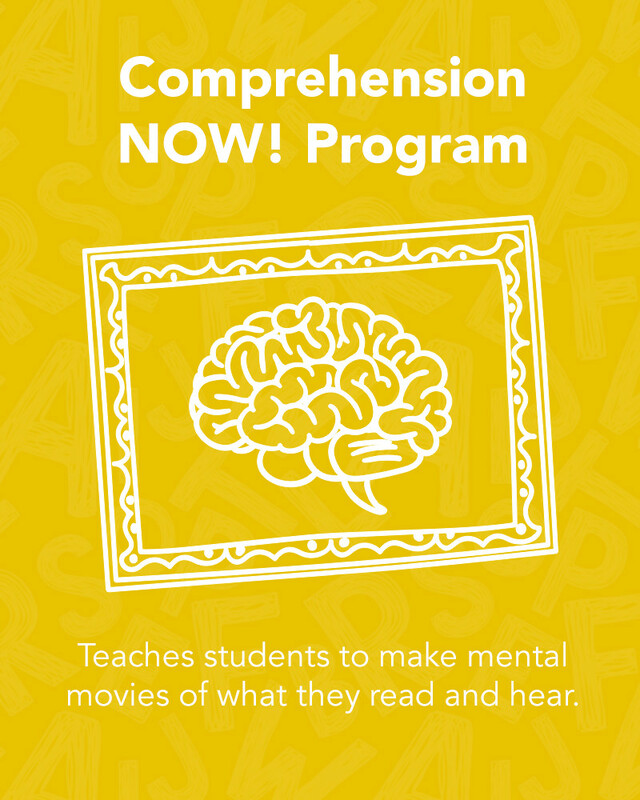 Comprehension teaches students how to make mental movies from information that they read or hear, which in turn helps them process that information at a higher cognitive level, allowing it to be remembered longer, understood better and applied more effectively. Creating movies from text is a natural process for people who comprehend without difficulty. However, people with dyslexia and other learning disabilities often do not make mental movies when they read – they are using most of their brainpower to sound out the words, leaving little left over to remember and understand. Teaching students how to make mental movies not only improves their listening and reading skills, it also makes that comprehension much stronger and more meaningful. 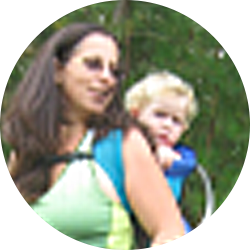 The development of visual imagery begins at a basic, concrete level. Students are asked to describe simple pictures in a systematic and organized way, an exercise that teaches them how language can be used to give clear, concise and accurate information. As students become more fluent and organized, they are given more complex pictures to describe. They are then asked to recreate images from their memory, describing them while holding onto the mental information in their heads. Once fluent at picture level, students work to describe words. Making movies from single words helps build vocabulary skills and improves retention. From there, longer chunks of information are used – one word is stretched to a sentence, then multiple sentences. Upon completion of the NOW! 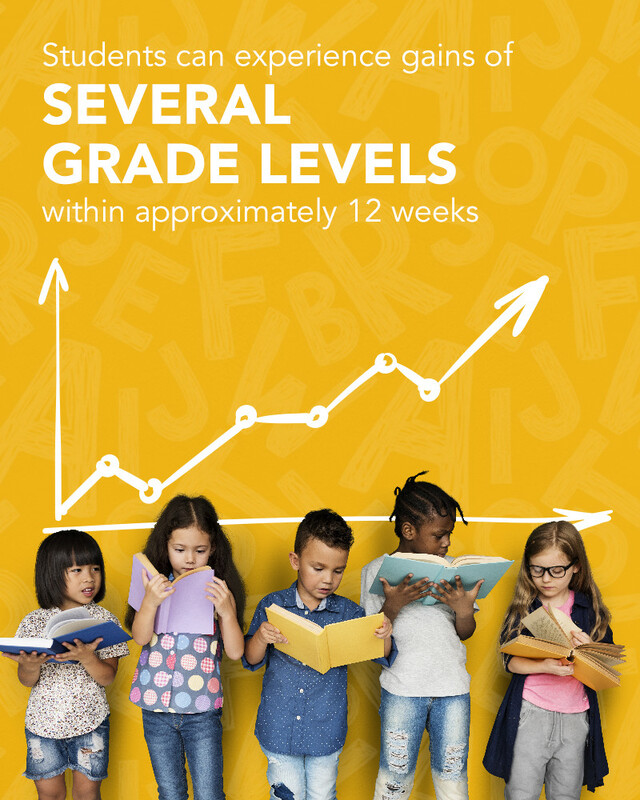 Comprehension program, students should see a marked improvement in reading and listening comprehension skills, information retention, vocabulary and spoken language skills. By developing the ability to create mental movies, students will be better able to use and apply the information they read on the first try. My son is now eager to read! My son told me "I used to hate reading" and when I asked why, he told me "because it used to be hard." I almost cried. Now he has even began trying to read signs aloud as we drive! These small things, more than anything, solidified that something had changed! I attribute these changes in my son to the NOW! Program, as it was the only piece of his educational instruction that had changed. The NOW! Program helped our son become a better and more confident reader. When I first heard Dr. Conway speak at an early childhood conference, where I was also speaking, his words were music to my ears. Have spent 15 years in youth prevention work. When he said the #3 killer of teenagers is suicide and 89% of teen suicide notes have spelling errors consistent with dyslexia, I knew I needed his help with my kids. That’s not the thing a normal mom of a 5-year-old thinks. But I knew something wasn’t right. I didn’t know what the problem was and I didn’t know how to fix it until the first conversation with Dr. Conway of NOW! Programs. Our son is now reading on grade level for the first time. He’s also feeling “as good as the other kids” and being teased less, if at all. This program didn't just give my kid the ability to read, it quite possibly saved his life. Around third grade, I started to notice Robert had difficulties with reading. Almost immediately after tutoring, he became more confident because he then understood [reading] was something he could do. From Struggling with Dyslexia to A/B Honor Roll! Early on after signing him up for tutoring, we started seeing results. 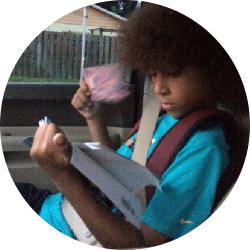 Within a year’s time, my son went up two grade levels in reading! Myles struggled with reading, writing, and mathematics. 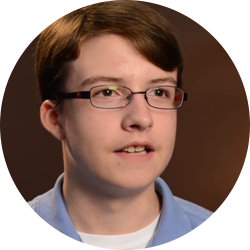 We saw a difference in him almost immediately after he started tutoring. The change was impressive. We could tell that things were just clicking for him. Before, [reading] was a struggle. It really affected her life, her confidence, and her ability to learn. But now, she’s succeeding. Now she has a bright future! The NOW! Programs® methodology is based on the latest scientific research regarding neural plasticity (efficient, long-lasting learning) and makes use of scientific principles regarding the neurodevelopment of speech, language, reading and spelling skills developed at professional clinical and educational organizations for over 27 years. NOW! Programs can efficiently and effectively improve these academic abilities with long-lasting results. Learn more about our research. Dr. Conway and colleagues have conducted extensive research designed to analyze and augment methodology and implementation of practices developed in each program. Very few tutoring programs have results that are as repeatedly proven as the NOW! Company. Learn more about our evidence. The NOW! Programs® are designed to build a solid foundation in sensory processing and thinking skills, from which the more advanced academic abilities will be developed, too. And research, not just our own, but of other professionals in our field, has shown these programs to be effective.